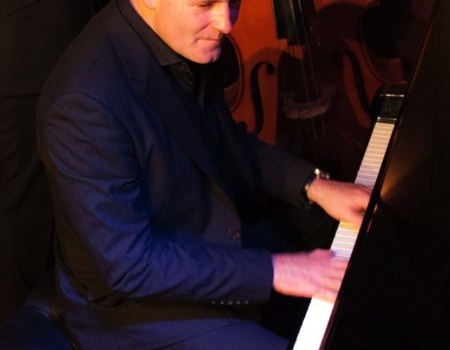 Joe Thompson is the musical director of the Ivy in London's West End where he performs most nights of the week either solo or with his trio. Joe has entertained some of the biggest names in the music business such as Sting and Elton John, and was delighted to be chosen to play at various family gatherings for Diana Krall and Elvis Costello, including their wedding. Joined by guitar ace, Chris Cobbson and the vibrant Charlie Pyne on bass, the emphasis, as usual, will be on having fun and creating his trademark chilled out party atmosphere.